When you put the calculator on the desktop,the 30°large display is just opposite your sight,more clear than a straight calculator. Large and separated keys,make your every press more accurate,especially suitable for the elderly. This calculator is made of ABS high strength engineering plastics,light weight but durable.It can withstand the impact of falling on the height of the desktop. 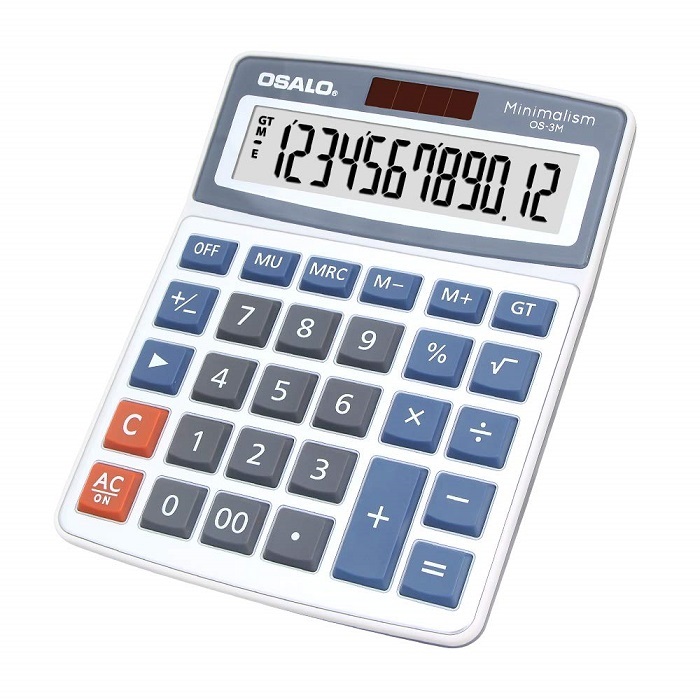 When you don't need to use this calculator,just press the off button in the top left corner,calculator will shut down immediately.In addition,the calculator will automatically turned off after 8 minutes,increasing the battery life,no need to worry about the problem of power consumption. Solar and battery,double safe uninterruptible power,environmental protection and energy saving advantages.